any spills or splashes simply rinse away. microwave mat in the base of your oven where it’ll catch any splashes or bubbled-over food. * Spillovers clean up fast and easy! PTFE microwave mat can be cut to size with household scissors. those baked on spills again! with the heat element or open flame. Don't use with aluminum foil. houses. Use those products may cause birds damages. 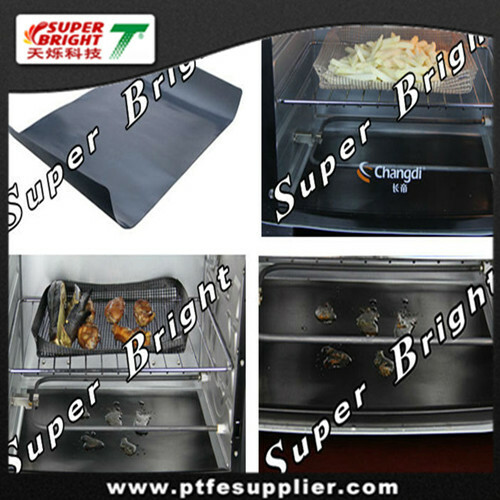 For optimum circulation, the PTFE microwave mat must not touch the walls or door of the oven.